Welcome to the ﬁrst edition of Inside Display Week 2017, ﬁlled with all the latest information about the worlds premier display technology event. Excitement is building as we approach next years event, which will be held May 21-26, 2017, at the Los Angeles Convention Center, located right in the heart of one of the worlds most dynamic cities  and you wont want to miss it. Year after year, thousands of attendees join us at Display Week because they know theyll see the most advanced technology and products in the display industry before anyone else  and because they want the chance to learn from global experts about how todays thinking is building tomorrows inventions. Display Week 2017 will ﬁre on all cylinders with new and returning features to expand your experience and make the most of your time. And for the ﬁrst time - you can now register early for Display Week! Early registration will open Dec. 5  so take advantage of this opportunity and be among the ﬁrst to ﬁnd out all the latest news, programming and components for this internationally renowned global event. Additionally, weve revamped our website to simplify the registration process and make it easier for you and your colleagues to reserve your place. Keep an eye out for our new mobile app, too! Our international Technical Symposium, one of the most highly anticipated and respected forums in the ﬁeld where industry luminaries and pioneers share profound insights, will highlight advances and the rapid market growth in four areas: augmented and virtual reality; digital signage display solutions; display materials and processes; and wearable displays (The Call for Papers deadline is Dec. 1, so be sure to enter your submission in time for consideration). 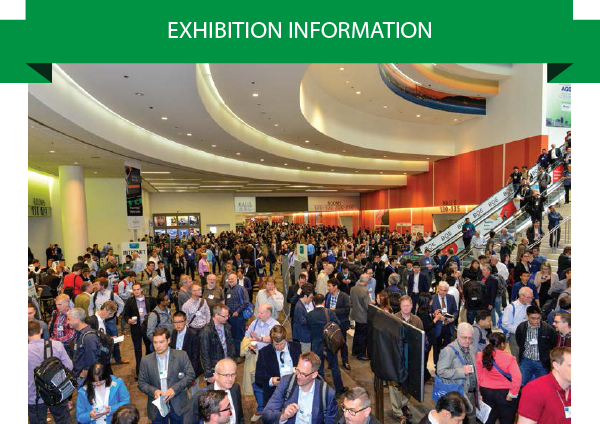 Our major exhibition, featuring more than 200 exhibitors from every point on the display technology spectrum, is the premier showcase for global information display companies and researchers to unveil leading-edge developments in display technology. The exhibition also includes two of our most exciting components: The I-Zone (Innovation Zone) and the New Product Showcase. Exclusive to Display Week, the I-Zone showcases the newest products and inventions that are so new they havent even hit the marketplace yet. The I-Zone exhibitors are chosen through a competitive process and selected by a panel of judges. 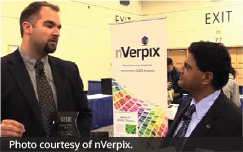 You can learn more about the I-Zone through this interview with last years winner, nVerpix. 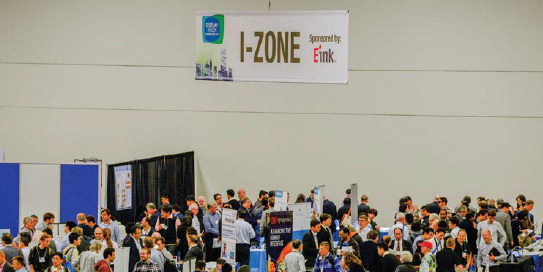 The 2017 I-Zone is sponsored by E Ink. Harit Doshi, head of E Inks Business Signage Unit, is chair of this years I-Zone Committee. The New Product Showcase, launched in 2016, is returning to the exhibit hall ﬂoor this year and will be located near the main entrance for Display Week 2017. The showcase will give attendees the opportunity to preview all the latest products in a dedicated area to help you plan your experience. Also returning for 2017 is our CMO Forum, which was introduced in 2016 with a distinguished panel of high-level marketing and sales experts who participated in an in-depth discussion about tools, techniques and methods to help you succeed in this competitive market. Additionally, the programs for our 2017 Business Track, Sunday Short Courses and Monday Seminars are currently being ﬁnalized to provide you with a wide array of things you need to know as an investor, developer, designer, purchaser, marketer, engineer, scientist, student or researcher in the display technology ﬁeld. And you can look forward to the prestigious SID Honors and Awards ceremony, which this year will include the new Peter Brody Prize, conferred on individuals under 40 who are making their mark in the display industry. Display Week also features the Best in Show and Best Prototype winners, which are selected onsite during the show, and the Display Industry Awards, which recognize outstanding achievements from the past year. 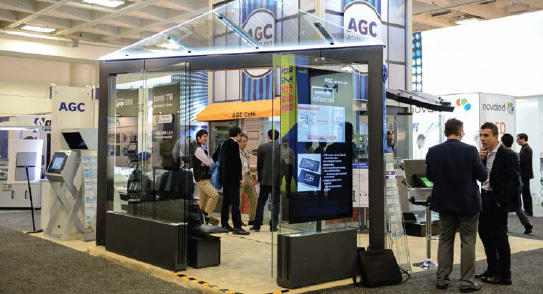 Asahi Glass Co. won a Best in Show Award for its unique booth presentation showcasing integrated display technologies. Photo courtesy of Asahi Glass Co.
Also new this year is the SID Dispatch, our exclusive blog authored by SID leadership and members, where youll get real-time insight about todays hottest topics. The blog is featured on IEEEs Computing Now site. Last but not least, we encourage you to start planning your trip to Los Angeles today. Known as a mecca for ﬁlm, music and ﬁne art, Los Angeles is also home to Silicon Beach, a burgeoning technology hub that includes some of todays business giants. Hotels are ﬁlling up fast. The sooner you register, the more time youll have to see everything  from the latest advancements in display technology to the sunny beaches of the West Coast, and everything in between! Be the ﬁrst to see todays most advanced technology and hear the thinking about tomorrow. Hob-nob with and learn from global industry experts about todays hottest topics and the future of the ﬁeld. Attend the worlds best electronic display technical forum, where you can learn from the very best display technologists who will share their lifes work in their presentations. Check out the I-Zone  an exclusive showcase of products that havent even hit the market yet. Enjoy L.A.  from the bright lights of Hollywood to the golden shores of the Paciﬁc Ocean. Experience hands-on demonstrations of technology youve only read about. Learn what you need to know to advance your organization and your career. Form strategic alliances and build new networks. Meet new customers, industry colleagues, supply chain partners and potential employers and employees. Welcome to Display Heaven. Theres no place else in the world like it. It's never too early to start planning your visit to Display Week 2017! Contact us today about attending or exhibiting. Learn about the newest technologies, systems and applications in this emerging ﬁeld, including 3D sensing and imaging; spatial tracking, localization, mapping and navigation; immersive audio technologies; human factor considerations; and biometrics and user authentication. 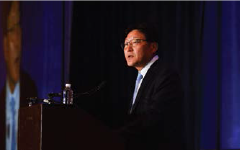 Focused on technologies that create new markets through increased capabilities, this track covers new enabling innovations and applications, such as controller solutions optimizing color space use and high-dynamic-range implementations; new LED implementations leveraging ﬂip-chip and chip-on-board solutions; down-conversion materials (phosphors, quantum dots); and unique visualization solutions (compound curves, circles, ﬁber light guides). Enabling novel applications, as well as advancing fundamental understanding of how innovative materials and processing contributions improve all types of displays and components, are the foci of this special session. 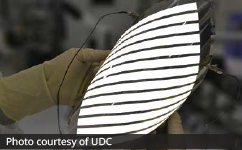 Topics include OLED materials processing; advances in electronic and optoelectronic materials; nanomaterials and nanofabrication for large-area substrates; and reducing environmental impact during fabrication. Wearables are the next step in the mobile computing revolution  and, as the most mobile and personal form of technology to the users - wearable devices present a host of opportunities and challenges. Find out what you need to know about this exciting ﬁeld, including wearable product design and concepts; low-power, ﬂexible, stretchable and textile wearable display advances; directive-view wearable displays; and micro-display design suitable for wearable applications like head-mounted displays. Display Weeks Technical Symposium is a high-proﬁle, prestigious opportunity to share knowledge, discoveries and innovative thinking with scientists, engineers, researchers and academics from around the world - and we invite you to be a part of it. We encourage the submission of original papers on all aspects of the research, engineering, application, evaluation, and utilization of displays. Paper submissions are welcome for any of the general symposium topics or any of the speciﬁc topical sessions. The deadline for paper abstracts is Dec. 1. Learn more about the requirements. As the leading organization in the display technology industry, SID is dedicated to advancing and expanding knowledge in this ever-growing ﬁeld. Our new blog, SID Dispatch, features real-time insights from the worlds leading subject matter experts about the latest and greatest developments and innovations in display technology. Add it to your list of favorites today. If youd like to contribute to SID Dispatch or have topic suggestions, please send an email to info@leavcom.com. Furthering its commitment to recognize and honor outstanding achievements in the ﬁeld, SID is proud to announce the Peter Brody Prize. The prize is made possible through a generous grant by Dr. Fang-Chen Luo, and will be awarded to a researcher under the age of 40 who has made a signiﬁcant contribution in the ﬁeld of active matrix addressed information displays. The award is named in honor of Luos colleague and mentor, Dr. Peter Brody, who was the pioneer of active matrix thin ﬁlm transistors for information displays. Its hard to believe it has been three decades since OLED began to revolutionize the industry  and our lives. Watch for more news about this great networking opportunity, and join us at Display Week to celebrate this milestone. Last year, we introduced the CMO Forum, an exciting addition to Display Week focused speciﬁcally on the unique opportunities  and challenges  facing display tech sales and marketing professionals. Global experts from leading companies like E Ink, Flex, Kent Displays, Planar and Quantum Materials, Inc., discussed the hottest topics and trends in this arena, including solutions for supply chain challenges and industry best practices. Next years line-up promises to be even more exciting, so keep an eye out for our dynamic panel line-up and more news as we get closer to May. Our annual I-Zone (Innovation Zone) competition and exhibition is one of the highlights of the event. Exclusive to Display Week, the competition serves as fertile ground for emerging technologies and products that havent hit the marketplace yet. Submissions from start-ups, researchers, educational institutions and small businesses are encouraged, and the winners receive exhibition space on the ﬂoor to showcase their work alongside other exhibitors at Display Week. I-Zone is a great concept for start-up companies - you could meet hundreds of potential customers. Francois Jeanneau, President & CEO, Novasentis Inc. The deadline for applications is March 17, 2017. Check out last years winner, nVerpix! Business Track, where youll ﬁnd engaging discussions focused on the business end of ﬁeld, to our Sunday Short Courses and Monday Seminars that cover the entire spectrum of the display technology industry in a short-format style, Display Week is the premier destination for anyone who wants and needs to know about tomorrows technology today. Check our website periodically to ﬁnd out news about speciﬁc topics and speakers for 2017. 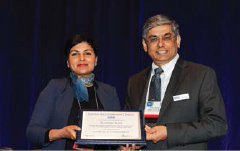 Every year at Display Week, SID recognizes individuals who have made signiﬁcant achievements and contributions that advance the display tech industry. Honorees include scientists, researchers, engineers and business leaders, selected by the SID Honors and Awards Committee. See our 2016 honorees. The Display Industry Awards (DIAs) are the display industrys most prestigious honor, given annually since 1995 by SID to recognize the best display products or applications introduced to the market during the previous calendar year. There are three Awards categories: Display of the Year Award, Display Application of the Year Award, and Display Component of the Year Award. Each year a winner for each category is selected by the Display Industry Awards Committee based on nominations from SID members and non-members alike. The Awards are announced during Display Week. Self-nominations are encouraged! If you would like to nominate a product that you believe has merit, third-party nominations can also be submitted by emailing the product and company name Nominations are due by Dec. 30. Contact us for more information . Check out our 2016 winners. 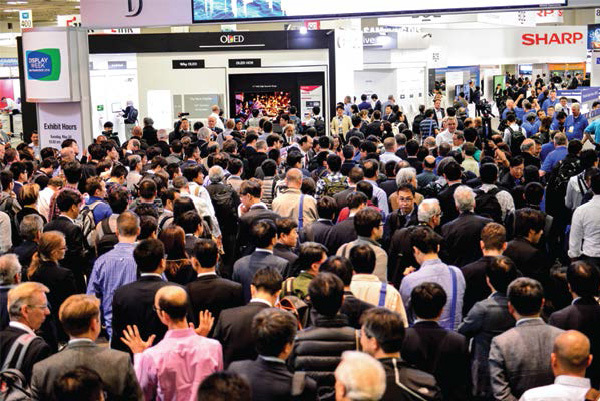 Display Week is the place to see and be seen when it comes to display technology. Competition is ﬁerce in this $100 billion industry, so theres no time like the present to get a jump on your competitors. Every year, thousands of attendees, purchasers, executives, marketers and supply chain professionals ﬂock to this premier global event to discover whats new and important  and whats coming next. Whether its augmented or virtual reality, the wearables space, vehicle displays, e-paper or digital signage, when people want to ﬁnd the latest and greatest in all things display they come to Display Week. Find out more about why you should exhibit at Display Week 2017. 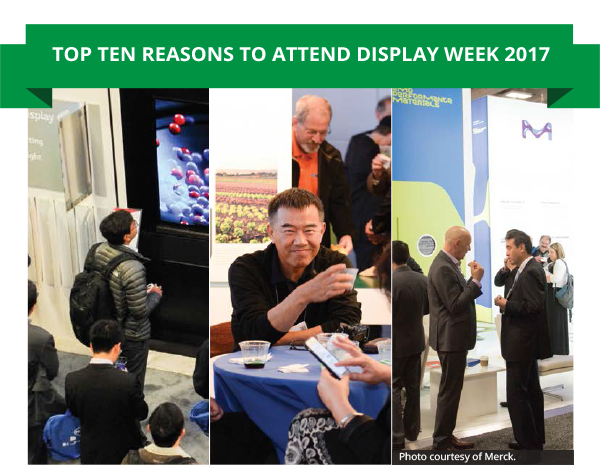 Some of the biggest names in display technology have already reserved their space at Display Week 2017. See the numerous exhibitors signed on so far. Reserve your spot today! You can get the latest updates/news on Display Week by following us Twitter, LinkedIn, Facebook and Display Weeks very own YouTube channel. SID will be expanding its social media platforms to also include Snapchat and Instagram later this year/early next. 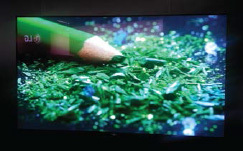 Craving more information about the display technology industry? Check out our websites - all recently redesigned to make it easy for you to ﬁnd exactly what youre looking for! From the bright lights of the big city to the golden shores of Malibu, Los Angeles is one of the most recognized destinations in the world  and our 2017 venue, the Los Angeles Convention Center, is right in the center of the action. Learn about the latest advancements and newest technology in the display industry amidst the never-ending pulse that beats with the excitement of the entertainment industry underneath the Southern California sun. Fine art, ﬁlms, world-famous landmarks and amusement parks, local culture and fantastic shopping are only a few of the features that can make your trip to Los Angeles unforgettable. Check out our website to learn more about LA  and register for Display Week 2017 today to start planning your adventure. SIDs rich history began in Los Angeles. 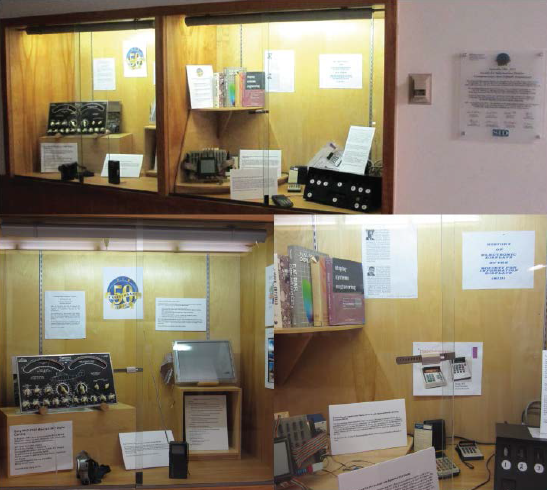 SID's historical contribution to the ﬁeld of electronic display is a permanent exhibit at its birthplace, UCLA. 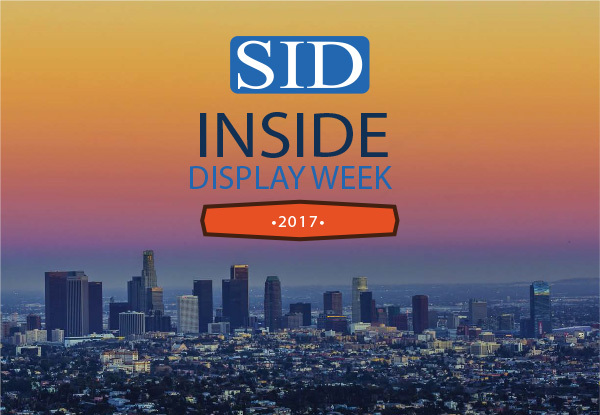 In 2017, the Society for Information Display (SID) will celebrate 55 years of advancing the display industry  and theres no better place to celebrate this milestone than its birthplace of Los Angeles. Dr. Harold R. Luxenberg (Lux) is credited as the founder of SID, with the concept of forming a society devoted to electronic displays growing out of his class at the University of California, Los Angeles (UCLA).The course, Information Display Systems, ﬁrst taught June 19-23, 1961, may have been the very ﬁrst of its kind on the subject of display systems engineering. Within two years, by 1963, the ﬁrst Technical Symposium  a hallmark of excellence of Display Week - took place. Since its inception, SID has been at the nexus of the electronic display industry. From the early beginnings of galvanometers and CRTs, through the evolution of LCD and OLED to todays virtual reality and ﬂexible display technology and devices, it continues to be a catalyst for innovative thinking that propels the ﬁeld forward. Display Week is its brain trust that brings together the worlds best and brightest during one week every year to advance the state of the industry in a way no other organization can. SID is grateful for the support of several leading media, trade associations and partners who helped promote Display Week 2016, including: Avnet, IDTechEx, IMS, LOPEC, M&E Tech, oled-info.com, Photonics Spectra, Physics World, SEMI, Solid State Technology, Veritas et Visus and Virtual Press Oﬃce/PR Newswire.